Superhero geek culture is alive and well in Atlanta and it’s only getting stronger with comic-based t.v. shows climbing on board for filming. While Marvel has been back-to-back since Ant-Man, they have historically kept shows locked up in NYC. Recently, more studios and productions are realizing they can “fake it” here in the South and, generally speaking, the weather and ease of filming are worlds better. The Gifted, created for FOX, based on Marvel Comics’ X-Men, jumped on board this past year and starting tonight DC Comics’ Black Lightning will premiere on the CW to already great reviews and we can tell you they’re well-deserved. The premiere episode feels totally different than anything else and well aligned with the current political and socioeconomic climate, two reasons why we loved it. The opening sequence will grab you and not let go, just like we like it! 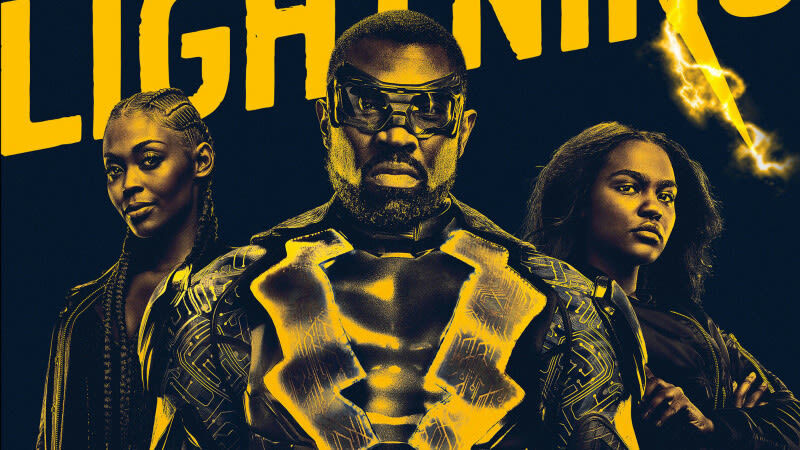 They appear to flip things up a bit from the comic, but the creators seem to have finally done it, they’ve given us what is certainly going to be the first successful black superhero t.v. show! Reviews have touted Black Lightning as a family show and you definitely feel it all through the first episode. Jefferson Pierce (Cress Williams from Living Single and of course Veronica Mars amongst others) is a retired superhero, turned Garfield High Principal, somewhat reluctant to shake things up, but is drawn out of seclusion to right the wrongs of his community. The timid nature and past promises made by Jefferson are a perfect lead-in to his daughters’, Anissa (Nafessa Williams) and Jennifer (Atlanta native China Anne McClain), soon-to-be-realized powers. These ladies are the perfect balance with the older Anissa coming to terms with their newfound powers a little better than her younger sibling. Further spoilers aside, with the CW’s superhero track record, this cast and these writers this will definitely be a hit! Check out Mike’s interview w/ show creators Salim Akil and Mara Brock Akil here! Find out why they chose to film in Atlanta and much more! View the trailer below and tune in tonight on the CW at 9 pm EST. Try and spot some familiar locations around Atlanta and then come tour with us on the Hero Tour and see more!